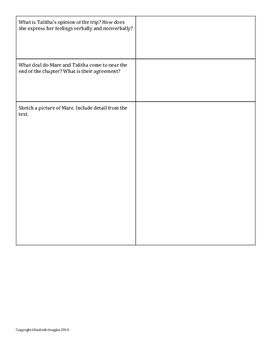 Printable worksheet with discussion questions for the first chapter of Mare's War. This could be used as a homework assignment or a discussion starter. 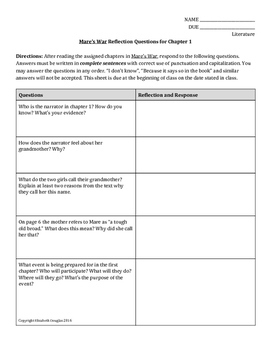 Questions are designed to get students to closely read the text and make connections with their own lives.